This is the one from decorative frame vector design website, Frame Design. 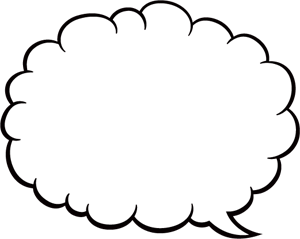 A fluffy speech balloon. See the bitmap data, and choose [?] button, then you can get the one with tail to the other side.